We are thrilled to present Hand Picked 3 – the third in our series of custom Sunday Baroque CDs! Our goal for these recordings is to feature a handpicked group of outstanding musicians from around the country, most of them in communities where Sunday Baroque is broadcast. The result is a resplendent bouquet of interesting music performed by stellar artists to surprise and delight your listeners. 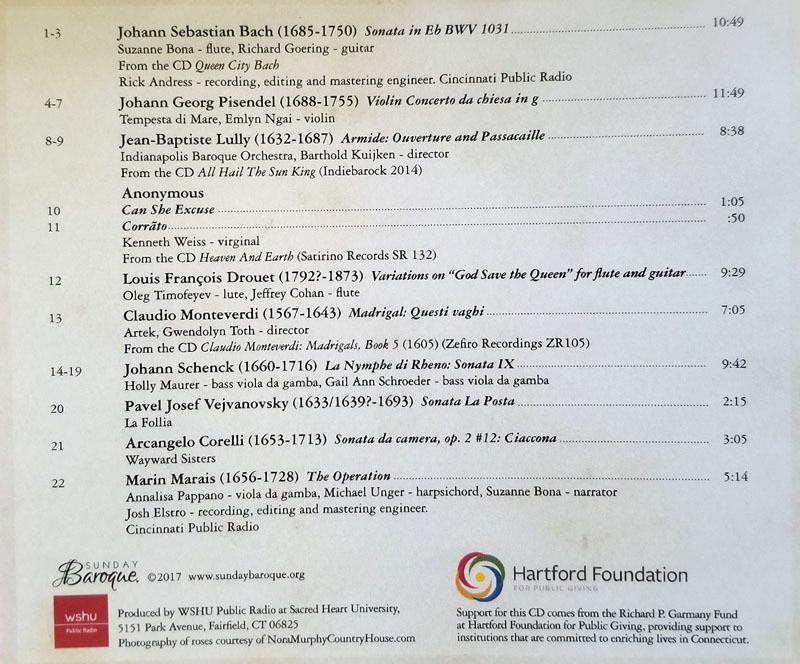 Just like a typical weekly Sunday Baroque program, this project includes a wide variety of music that spans the continuum of the baroque era (1600-1750), including the years leading up to it, and just after the “official” end of the baroque. The earliest music on the CD includes a 1605 cantata by Claudio Monteverdi and anonymous 16th century tunes. The latest music is a set of virtuosic variations by Louis Francois Drouet (born in 1792) on the melody GOD SAVE THE QUEEN. This is the first Hand Picked volume on which Suzanne Bona also performs. In addition to her work on Sunday Baroque, Suzanne is a flutist, and she’s thrilled to share with your listeners a peek into that part of her life. You can see a complete track listing below. 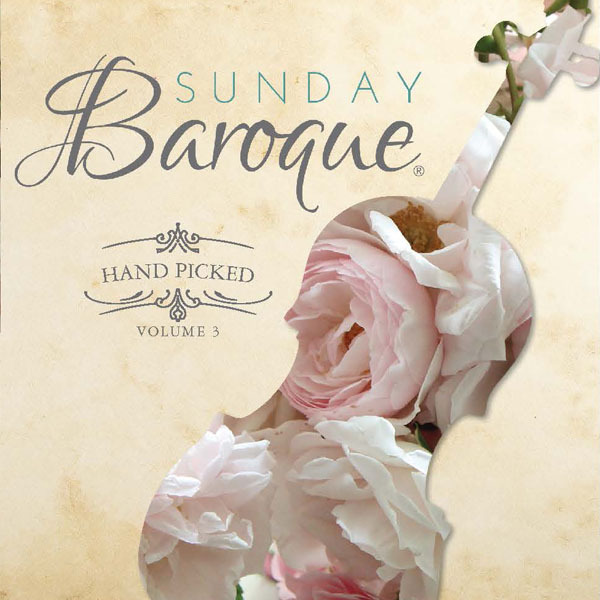 Sunday Baroque Hand Picked 3 is available to your station for $5.70 each, plus shipping. Fill out the form below to order CDs for your next fundraiser.